What is the area of this yard excluding the roads? Find it. It can be proved that the positions of the roads do not affect the area. A is an integer between 2 and 100 (inclusive). B is an integer between 2 and 100 (inclusive). 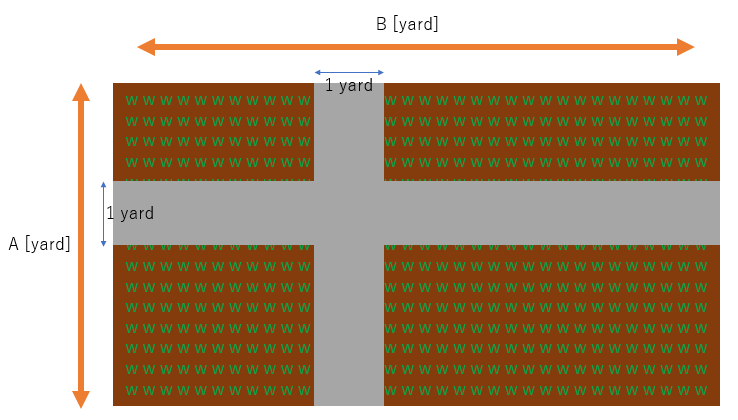 Print the area of this yard excluding the roads (in square yards). In this case, the area is 1 square yard. In this case, the area is 24 square yards.